The recording deal competition is part of a marketing initiative connected to the new rapping game to find new music talent in the UK. 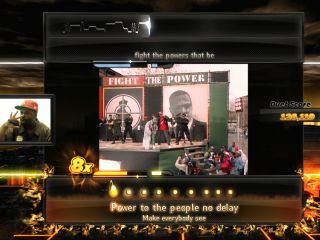 "Today Def Jam Rapstar, the first music game dedicated to hip hop, is proud to announce its new partnership with Atlantic Records and HMV as they launch the nationwide search for Britain's best emcee where the winner will receive a record deal from Atlantic Records, home to Jay-Z, TI, Flo-Rida and BOB," reads 4mm's release. "Freestylers can submit their best track using Def Jam Rapstar's innovative freestyle mode with beats from the best producers in the world including DJ Premier, Just Blaze and Cool & Dre." Players can upload their performance to be judged and put forward for a nationwide competition, with retailer HMV sponsoring the promotion via its Gamerbase stores. "Digital technology not only helps artists reach their audiences all over the world, it also provides us with new ways of discovering talent," said Max Lousada, chairman of Atlantic Records UK. "Rapstar brings those two ideas together in an exciting, cutting edge music experience. Fans will get the chance to explore new music, emulate their heroes and even have a shot at stardom themselves." Players (playas?) can go into HMV stores as of 1 January next year to record their performances or, of course, they can buy a copy of the game and work on their world-beating rap from the comfort of their lounge. 4mm Games also recently announced a partnership with the UK's National Literacy Trust to tour UK schools promoting language skills. "Rapstar's social community not only gives players the chance to perform their favourite hip-hop songs and show off their emcee skills, but it also builds a platform for us to discover new talent," said Kevin Liles, president and CEO, Def Jam Interactive. "Atlantic UK and HMV are the perfect partners to venture into this project and together we will find the next Rapstar." Fancy your chances? Head over to the game's website at www.defjamrapstar.com for more details.